So there's no way coolant is ever flowing out of there like it's meant to according to the pathfinder cooling diagrams. None of the install guides for this mod mention drilling anything in there... So i can't help but wonder if most people who've installed this have actually achieved nothing and coolant isn't flowing how they think. 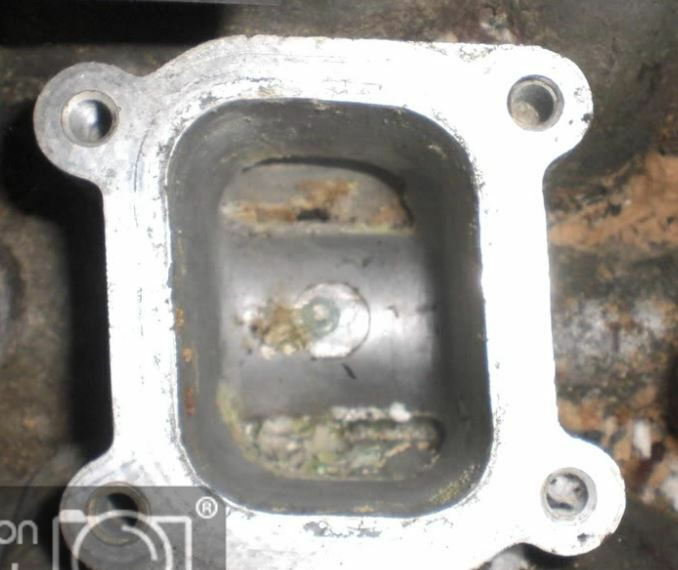 I did find a thread on another forum for a car where this engine is used but in front wheel drive and they said they drilled this part I'm looking at and hit an oil line of some sort. So yeah anyone who's done this mod got any thoughts on this? Last edited by ChrisDe; 02-04-2019 at 04:27 PM. I am interested as well. I haven't taken my plate off yet but I will report back if mine is the same. I've checked on both a DE and REVUP now and both are definitely completely sealed off dead ends. Even poured water into there to see if it escaped through some tiny hole I couldn't see. But no, it just sat there until I soaked it up with a cloth. Last edited by ChrisDe; 02-01-2019 at 01:48 PM. My guess is that this mod was originally done by someone that did drill inside there and then added the pathfinder bits but then over time it's turned into people just slapping the pathfinder parts on cos they heard that's what someone else did. I'm sure there are some people on here who've done it and actually drilled the block but going by all the DIY guides and other posts I've seen about it, I'm pretty sure most people haven't. I've been doing more searching as I'm baffled by so many people doing this and not noticing what I did in a few seconds, especially with some shops claiming they did the mod and then got lower coolant temps on the dyno. So I still can't help think I'm missing something. I found an old forum post where someone said: "When you check the openings to the block at the bottom of that cover, you will see they are only small." So maybe some of these blocks do have holes down there?? But then it seems very odd that my DE imported from Japan and the UK REVUP engine that I checked definitely didn't have any holes. I also found someone on a Nissan maxima forum who mentioned the same problem I'm talking about and ended up drilling his own holes down there, but never updated the thread to say if it worked or if he had any issues after that. In that thread someone posted a picture of a VQ30DEK engine that had some holes down there, although its kind of hard to see. 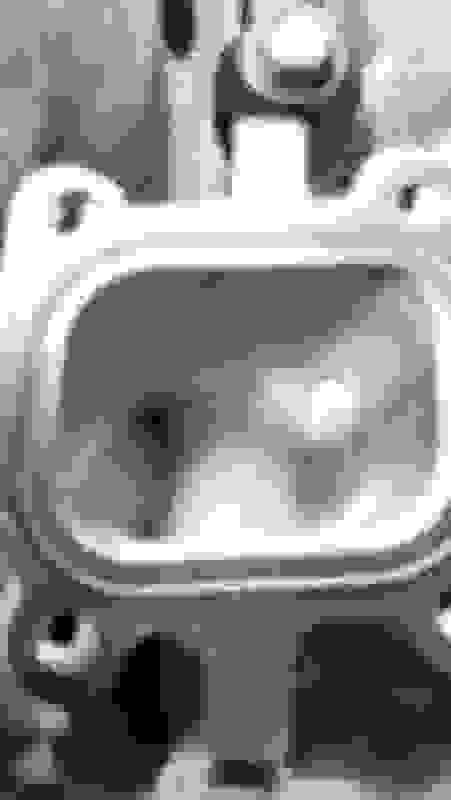 But again, if the Japanese DE and UK REVUP engines that I checked both didn't have these holes, it seems likely that a lot of people who've done this mod don't have these holes so it isn't doing anything. Maybe all the engines in US cars do have the holes? Would be surprising as I didn't think there were any differences in the actual engine block between US and UK/JDM engines. There was a thread back in 2010 that discussed this very issue...same outcome though no one was able to come to a definitive conclusion as to whether that port has holes or not. Great info though keep it going. Surprised I've not found that with all my searching haha but thanks for the info. I have a definitive conclusion for my UK and JDM engines, as like I said I've tested it by pouring water in them and it just sits there. So all that really needs confirming is do the engines for the US market have the holes or not (if they're even any different to the engines in europe and japan). The sheer amount of people in the US that have done this mod over a period of 12 years, including shops that know this engine inside out (and did dyno tests after doing the mod), makes me think the US engines must have the holes. But in reality it seems odd that Nissan would do it only for the US engines especially when it was capped off above anyway by that blanking plate. Hard to say exactly what the difference between your block and mine - but mine is connected and drains when filled with water. Water spills out through the sleeves. I would do this test with your heads off before you completely debunk it - you may have fluid in the system where the fluid in the pathfinder cooling mod cavity cannot go anywhere. Last edited by bealljk; 02-02-2019 at 09:35 AM. oo ok thanks for the info. Good to know a lot of people haven't been wasting their time then! Although its weird that there's such a small difference between the 2 engines I've checked and other people's. Definitely no fluid or anything blocking mine, as the engine was completely drained as it has just been rebuilt. Also you can see from the first photo I showed, it is just completely sealed off down there. I only poured water in to make sure there wasn't just some tiny hole I couldn't see right in the corner. Although I'm curious to see your video/pictures as you said its hard to say what the difference is between yours and mine so that implies you can't actually see any holes? dammit!! I totally filmed it portrait! my bad!! Thanks a lot for the video, at least that proves this mod is working for some people. I didn't try pouring that much into mine, but I poured enough to fill that area you poured it into and it didn't go anywhere until I soaked it up with a towel a few minutes later. Sure thing Chris! I'm happy to help. I'm sorry yours isnt behaving like mine. Might I suggest - instead of water being fed by gravity what about doing compressed air at +/- 25psi/2bar? It's quite possible that different blocks were used for different model vehicles. I did a quick check for my model year (2005) and the Z block is part number 11000-CG000, while the Pathfinder block is 11000-EA200. Yeah obviously the pathfinder block is different and definitely does have holes down there because otherwise the system wouldn't even work on a pathfinder where they designed it to work like that from factory. What we're trying to find out is are there differences between 350Z blocks in different regions. I've got a 2003 JDM block and a 2005 UK block and both of them are sealed off down there, but bealljk has a US block which is not sealed off. Hard to say with a sample size of only 3 though. I've got someone else in the UK that's going to check theirs soon and hopefully some other people seeing this thread that are from the US can check theirs. Is it possible the blocks you have came from another vehicle and not a Z?